This is a most frequently asked question and it really depends on a few factors. If you own a private water well in Richmond or Vancouver area and if, the quality of the water concerns your health and the health of your family, you need to be aware of some important facts about water testing and water quality of private systems. If water is supplied from a private water well in Richmond whether a drilled well or a shallow well, it should be tested by a certified lab to verify the water is safe for you and your family to use for domestic purposes, such as drinking, cooking, washing of food, bathing, pets, etc. Who's Responsible for Testing My Well Water in Richmond? For those who have a private water well or water supply, the responsibility for safety and treatment is the sole responsibility of the homeowner. As a homeowner in Richmond with a water well you alone are responsible for assuring your water is safe, as is the case throughout the entire province of British Columbia. Unsafe drinking water can make you sick. Even if you’re not sick right now, you’re water well may not be safe. Some contaminants found in well can cause long-term health problems. Are there unexplained illnesses in your family? In addition to illnesses, a variety of less serious problems such as taste, colour, odor and staining of clothing or fixtures are a sign of possible water quality problems. Other things to think about include the location of your water well in relation to septic systems and the composition of your home’s plumbing materials. Disease causing organisms can be carried in the digestive system of people and animals. These organisms can enter surface water sources from species of animals like cows, bears, or beavers, or from human sources, like septic systems, runoff, sewage pipes and landfills. Drinking contaminated water can spread water borne diseases. Deep drilled wells in Richmond are also vulnerable and susceptible to contamination issues as in many other areas of Greater Vancouver. Richmond Water Testing - What is Water Borne Diseases? Why Is It Important to Test Your Water? Every water well is independent from neighboring wells, just because your neighbors well has been tested and found to be safe, this does not mean that your water well is too. The safety of your well water depends on land-use and underground geology, the depth and construction of the well, and many other factors such as invisible leaky water well casings that are very common in many areas of the province. Your well water may taste and look fine, however, there can be many harmful substances that you don't see, taste, or smell, such as bacteria and chemicals that may affect your health. These contaminants can enter a water well both from the surface and the ground and can be from natural sources or human activities. For example, Greater Vancouver farming and agricultural activities or septic systems, if built or maintained improperly, can lead to increased nitrates and fertilizer seeping into soil and contaminating your water well. Poor well maintenance may also cause contamination of well water. Richmond Water Testing - How Often Should My Water Be Tested? Private water wells in Richmond should be tested a minimum of once-per-year. Drinking water sources obtained from shallow wells (dug wells) and surface water sources should be tested more frequently (i.e. seasonally), as they are more susceptible to contamination. It is important to test your drinking water at the tap and at the source. Testing both will help you determine if your home water treatment system is performing correctly, and if the quality of your raw water has changed. Testing is recommended during the wet seasons, the rainy season will cause a higher potential of contamination, than the dry summer months. You should also test your well water if you see any sudden changes in the water (ex: strong colour, odor or a change in taste or clarity) and after a particularly heavy rainfall or flooding Richmond or the Greater Vancouver area. For this reason, registering for a routine water testing program in Richmond and testing for a few of the most common contaminants is highly recommended. Even if you currently have a safe water supply, regular water testing can be valuable as it establishes a track record of the water quality from your water well. A water quality record is helpful in solving any future problems and in obtaining compensation if someone somehow damages your water supply. A water quality record for your water well is extremely important when selling real estate in Richmond with a water well, most water wells are now tested and inspected upon the sale of a property. Having a record of water test reports available will certainly indicate whether you can expect to have a water well problem upon the sale of your property. Do You Have a New Baby in the Household? Water testing for nitrate in the early months of pregnancy is important and again before bringing an infant home, it may be wise in some areas to repeat the test during the first 6 months of the child's life. The best time to test for nitrate is during the spring or summer following a rainy period. 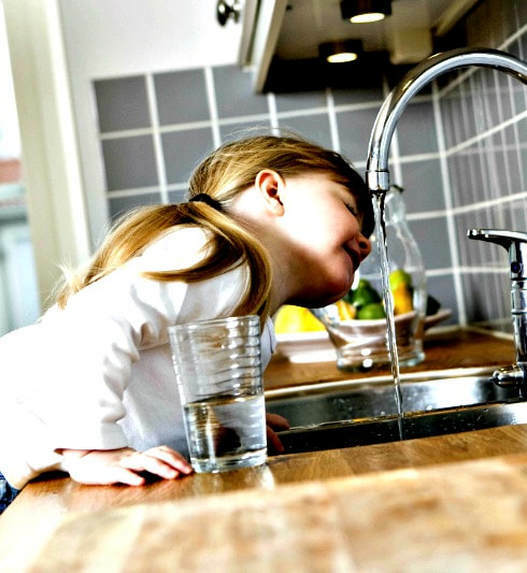 Does Your Richmond Water Have a Taste, Odor or Staining Issues? Testing for sulfide, chloride, iron, manganese, hardness and corrosion, and every 2 to 3 years is generally good. If you suspect other contaminants include them in the test. Had a Chemical or Fuel Spill or Leak Close to Your Water Supply? Water Testing will be required for chemical contaminants, such as volatile organic compounds. This specific type of water testing can be costly; limit the tests to the potential issues that are considered specific to your water supply. Immediately contact a Richmond or Greater Vancouver water well professional if you've had a chemical-spill near your well for further advice. Where Can I Get My Water Tested in Richmond? It's important to only use an accredited, certified analytical water testing lab in Richmond for water testing. A certified lab will generally have invested several million dollars in professional water testing and analytical equipment, lab technicians, scientists and a large laboratory facility. Who Should Not Be Controlling Water Samples? Many home water treatment companies in British Columbia provide in-house water test services as a method of capturing leads for water system sales. Testing might be conducted in a small room with inexpensive packaged water test kits by a water treatment company or they may accept water samples becoming a 3rd party by sending the water samples to an accredited water testing lab. Once possession of water samples is given to another party (water treatment company) they will often manage the Chain of Custody (COC) which gives full control of the water samples and the water test report. There is no guarantee that the water samples will not be tampered with or contaminated and possibly receiving back a failed drinking water test report which may not be accurate. There are numerous reasons why water tests initiated by home water treatment companies is a concern and should be avoided when possible due to a possible conflict of interest, the lack of accreditation and a host of other issues that can become apparent quite quickly. Home water treatment companies are in the business of selling and installing home water treatment systems, giving reason why they would rather handle the water tests when possible but, as mentioned the documented results may not be legitimate. Buyer beware - manage your own samples, keep your water samples at arms length. It's not unlike blood testing, everything is independent and always kept at arm's length. The Doc is not sampling your blood, handling your lab work and then selling you the required drugs in a backroom... right? The same really goes with your water! With close to 30 years of experience with real-estate and water well consulting I have zero tolerance for a real-estate agent who is connected to a client's water samples. It’s a serious conflict of interest in my opinion and likely that of all lawyers. Fortunately most but not all agents will not consider handling a water sample, they clearly understand the potential of liability is substantial. With many real estate deals in Greater Vancouver the water wells may not be sampled for testing until a week or 2 prior to the completion of the sale, sometimes not at all. At that point, no one is interested in a failed water quality report, especially a real estate agent. A water report failure can cause a few problems including the loss of a sale. It's even possible that water samples may not be taken from the subject property but rather be replaced with a potable water sample containing a slight chlorine residual (from a city water tap), naturally a purchaser would never suspect this but, it's a known tactic in the real estate profession. It's obvious why most agents will not become entangled with water tests. We could have a long discussion about real estate and water wells, please know that my advice is supported by many years of experience. Regardless if you’re a buyer or a seller, it doesn’t matter... control your samples. Also, if purchasing property in Richmond or the Greater Vancouver area with a private water system do not accept previous lab reports for the same reasons as mentioned, water well problems can literally cost thousands of dollars to repair or even replace, many buyers unknowingly inherit water well problems throughout Greater Vancouver. If you require water testing in Richmond it’s important to control the samples from beginning to end. With complete and simple sampling instructions, you’re completely capable of requesting a water test kit and sampling your water. Submitting your completed water testing kit to the lab isn't complicated either. Richmond Water Testing Services has created a simple system that makes water sampling quick and easy! Richmond Water Testing Services is a simple online system that finally solves the water testing issues by removing the complications and confusion throughout Richmond and Greater Vancouver. Water testing laboratories generally require the use of their sample containers. Use the containers provided and carefully follow the instructions given for collecting, preserving and handling water samples. The number of water samples to be drawn will completely depend on the water test kit and required tests. How Much Does It Cost to for Water Testing in Richmond? The cost of testing your water in Richmond is determined by the scope of the water test kit and package which can range from a basic coli-form test to a comprehensive drinking water quality package. Many people opt for a mid-range package through Richmond Water Testing and others want a full range of tests conducted. Richmond Water Testing - How Do I Order My Water Test Kit? Water testing kits are easy to order online, they are provided as a complete package with a prepaid shipping label to return the completed water test kit back to the lab. Richmond Water Testing has done a great job of simplifying the entire process while giving full-control of the water test kit to the property owner.